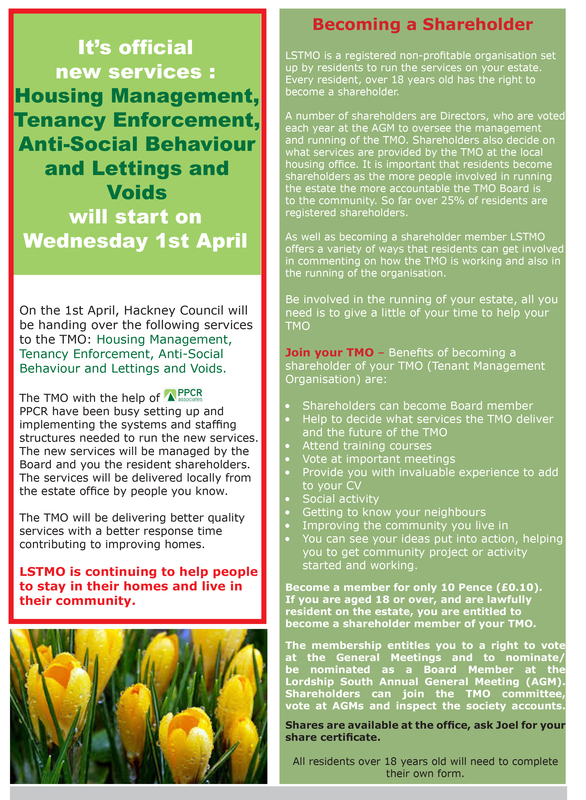 PPCR has provided detailed training for staff and PPCR is currently reviewing LSTMO procedures and the Business Plan. 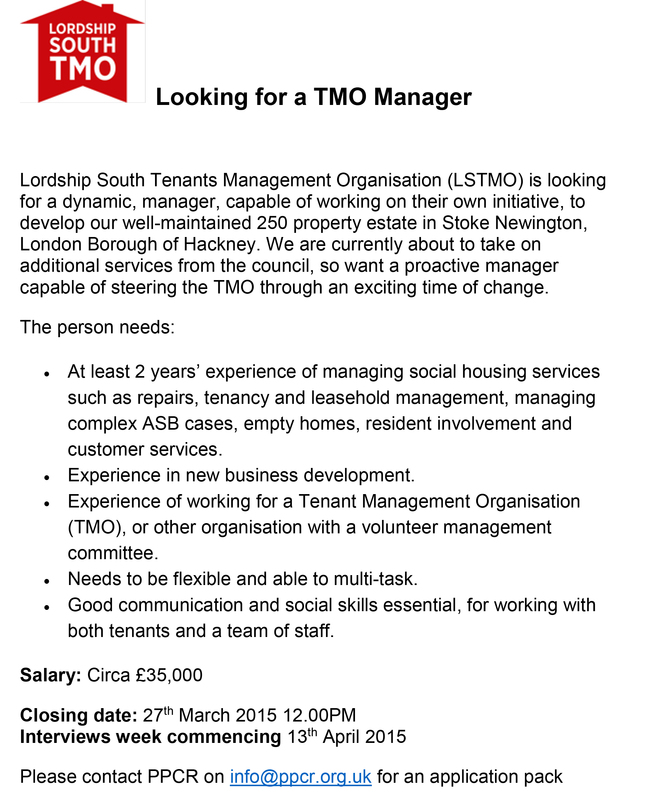 This entry was posted in Archive, London Borough of Hackney, Lordship South TMO. 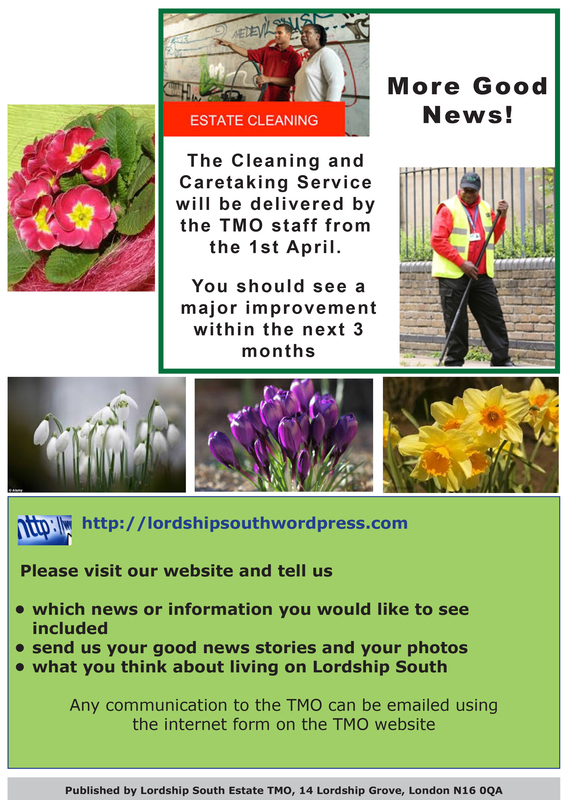 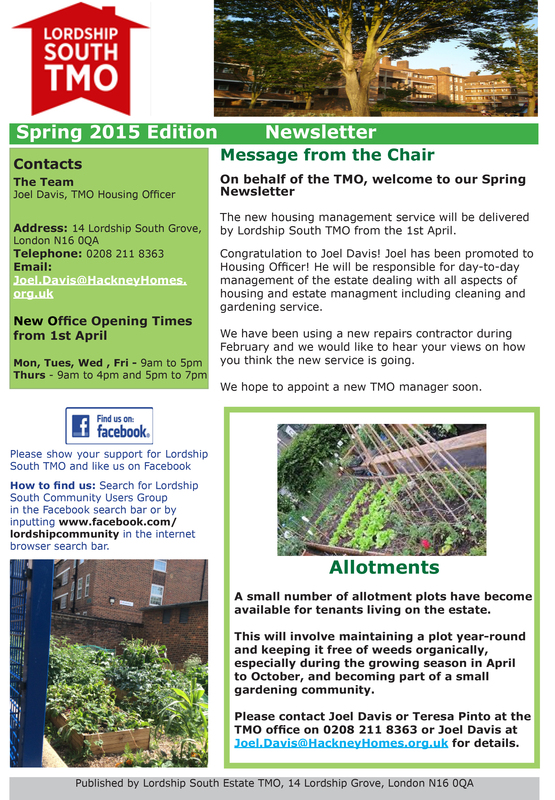 This entry was posted in Archive, London Borough of Hackney, Lordship South TMO, Newsletters. 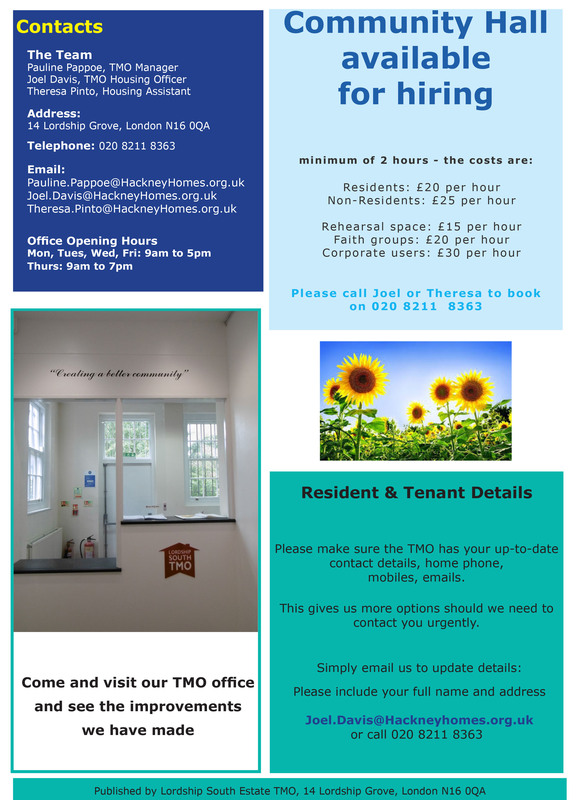 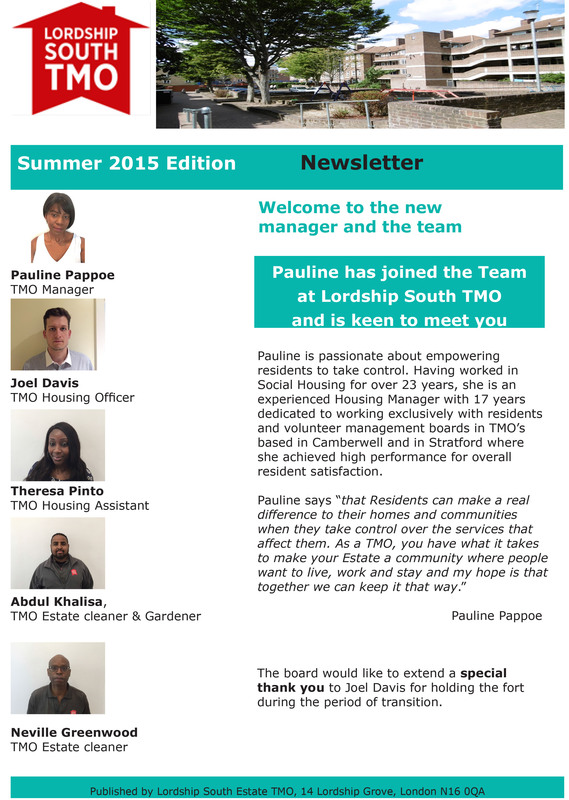 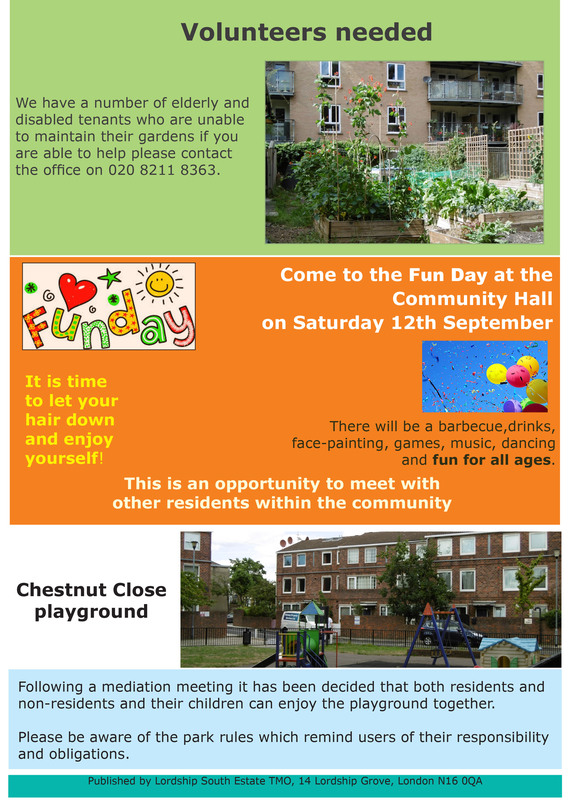 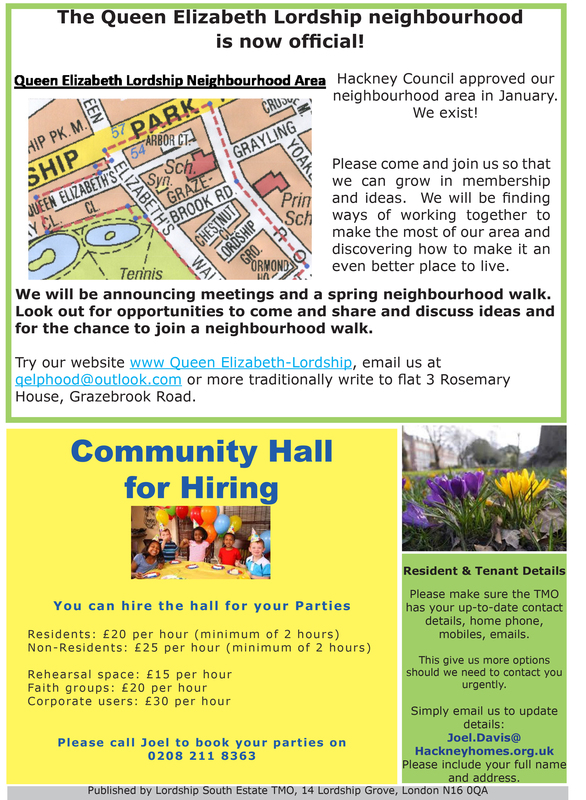 This entry was posted in London Borough of Hackney, Lordship South TMO, Newsletters, Our Current Projets. 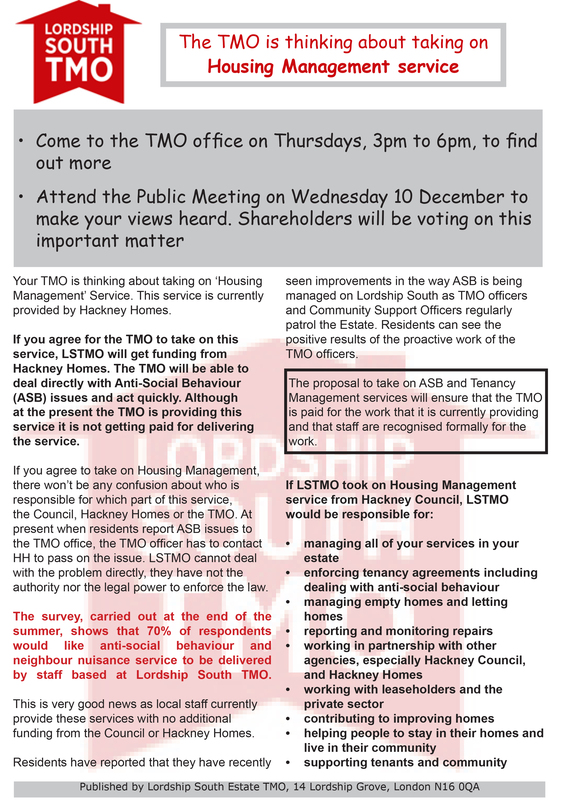 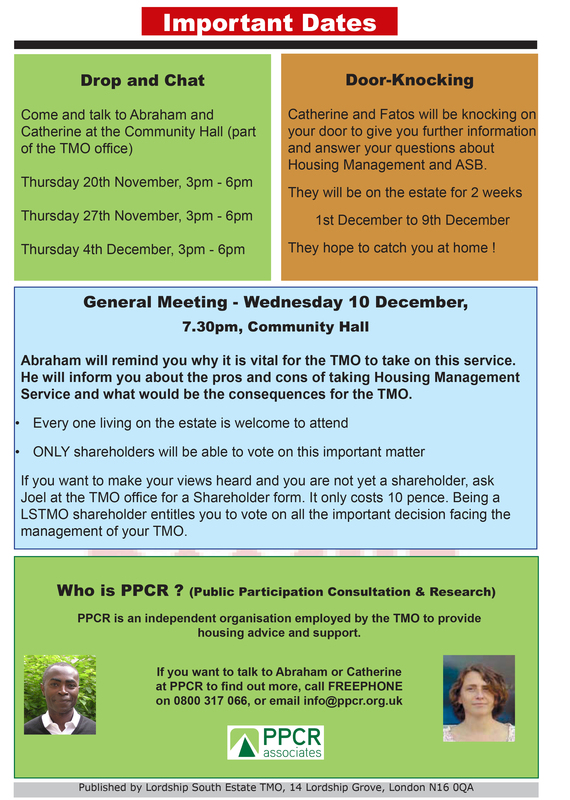 What are your views about the TMO thinking about taking on Housing Management? 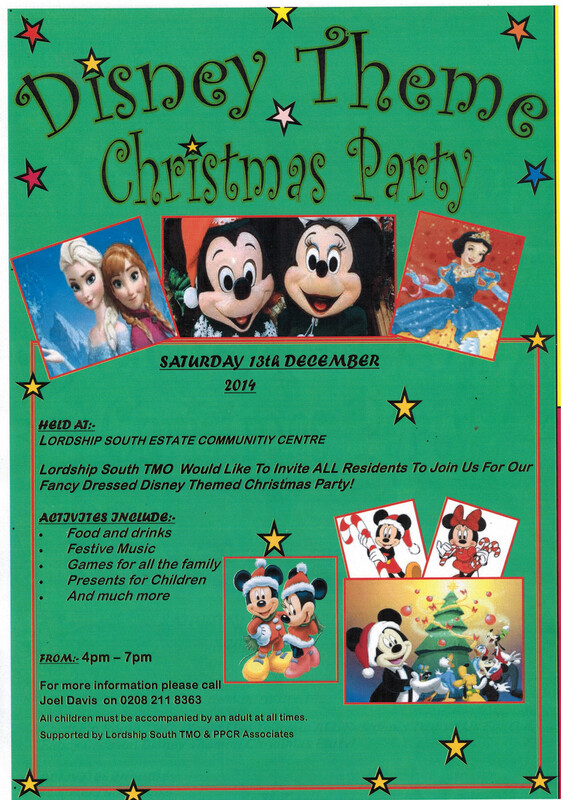 Everyone is welcome to join in at the Lordship South Christmas Party!!! 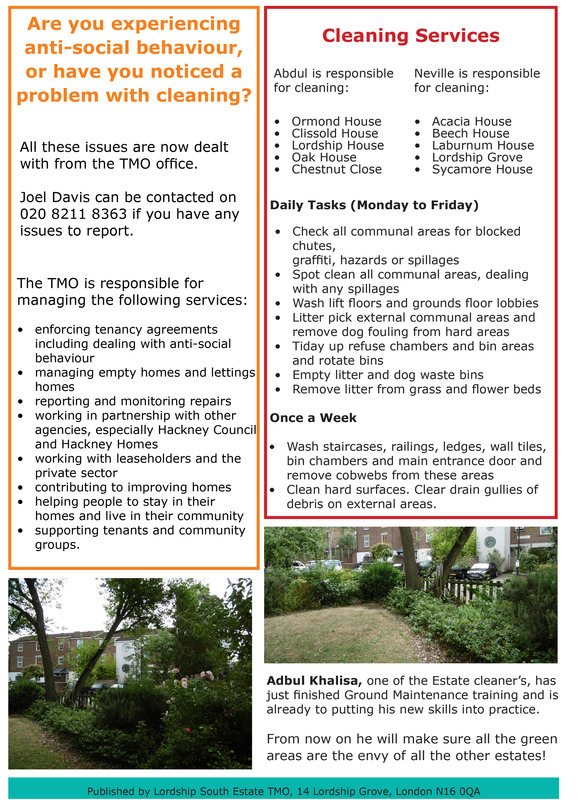 This entry was posted in London Borough of Hackney, Lordship South TMO, Our Current Projets.